For some odd reason, which I have never been able to understand, a culture runs through some sections of the GAA that has to be unique in world sport. It holds that there are times when a team’s longer-term ambitions are best served by not winning certain games or competitions. If, for example, Limerick and Waterford are the two counties in Munster who don’t make it into the All-Ireland championship this year, we will hear plenty about how fighting it out for a league title in March wasn’t a good idea. We will be told by those for whom hindsight provides the ultimate in wisdom that while Limerick and Waterford were belting lumps out of each other in Croke Park, the clever boys from Cork, Tipperary and Clare were busy back home working on championship plans and strategies away from prying eyes. How can you disprove it? The season is judged ultimately by how a team does in the championship, so if Limerick and/or Waterford were to miss the Munster cut, their spring activities will be brought up. It’s pure nonsense of course. You can’t hurl championship in March so the next best thing is to do as well as you can in the league. All-Ireland apart, it’s the only other national competition, so you’ve got to go for it. Besides, what better preparation for the championship can there be than playing a league final? So whatever the rest of the All-Ireland contenders are doing this weekend, it won’t be as remotely beneficial to their summer prospects as the Croke Park clash will be for Limerick and Waterford. Páraic Fanning was always going to chase the league as far as he could in his first season with Waterford and in fairness to John Kiely, he has done the same, even if circumstances are different in Limerick. They started the year at No 1 and instead of expecting their status to take care of business, they have made sure they stayed at the head of the queue. They had their fun after winning the All-Ireland but they didn’t lose sight of what they were about. When they came back in the New Year, it was clear from the first league game against Waterford that they were focused on seizing the many other great opportunities which last year’s success opened up. It’s a young panel and while that guarantees nothing, they know there’s more to come if they put in the work and keep the attitude right. The best way to stay at the top is to keep winning as many games as possible. Not only does it maintain confidence levels within the group, it also raises doubts elsewhere. Kilkenny did that for years. Never mind the league or All-Ireland, Brian Cody sent them chasing after the Walsh Cup too. 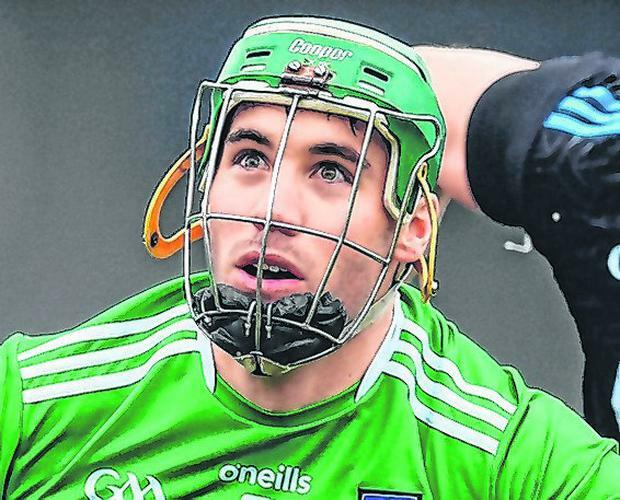 Given what we’ve seen from Limerick this year, Kiely appears to have instilled that type of attitude in his squad. Of course, players have to be receptive and obviously the Limerick lads are. Squad depth is everything in the modern game and Limerick are certainly well catered for there. They had to work without Mike Casey until recently but coped quite comfortably, with Sean Finn switching to full-back and Tom Condon returning to the corner. That’s the sort of flexibility that’s needed and Limerick have it in abundance right now. They would probably have been expecting to meet Galway in an All-Ireland final rematch on Sunday, but it didn’t happen thanks to Waterford’s big second half last weekend. Fanning will have been delighted with the way they responded after Mikey Kearney was sent off. You can’t plan for that sort of eventuality – it has to be an instinctive reaction from the other players to commit to taking on extra work and responsibility. Fanning’s team are playing a more open game this year and while only time will tell if it gets more out of the squad, the early signs are encouraging. Playing a league final in Croke Park will be invaluable in their development. They are still some way short of full-strength, so even if they don’t win tomorrow, they will bank the experience and move on. I was managing the Galway team the last time Limerick won the league title in 1997 so I have painful memories of it. Their supporters wouldn’t have thought that the county would still be waiting for the next league title 22 years later. That’s why chances have to be taken when they arise. Limerick did it in the All-Ireland final last year and I’d fancy them to do it again.